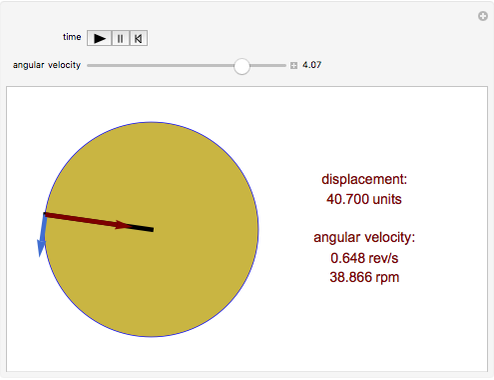 This Demonstration shows a particle in circular motion rotating at constant speed, expressed in radians per second, revolutions per second, or revolutions per minute (rpm). 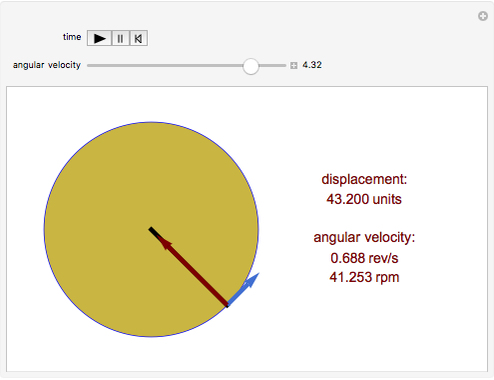 Because the direction of the velocity vector changes, there must be an acceleration—called centripetal acceleration—that always points toward the center of the circle. 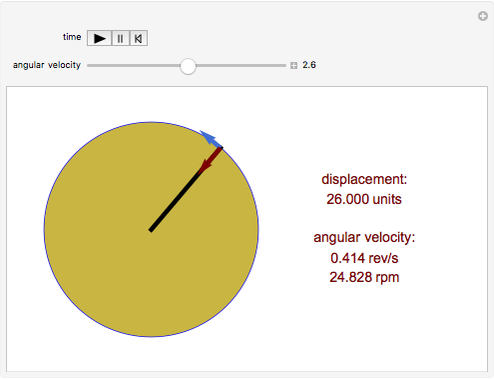 , where is the radius of the circle and is the velocity of a point on the circumference. Enrique Zeleny "Uniform Circular Motion"